Come and check out our 3 Willow Basket Stand with Sign Holders! Our floor fixture will catch the attention from anyone that sees it plus add a little warmth and beauty into your business. 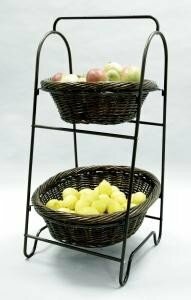 The charming design is ideal for showing off your fresh fruits and veggies. 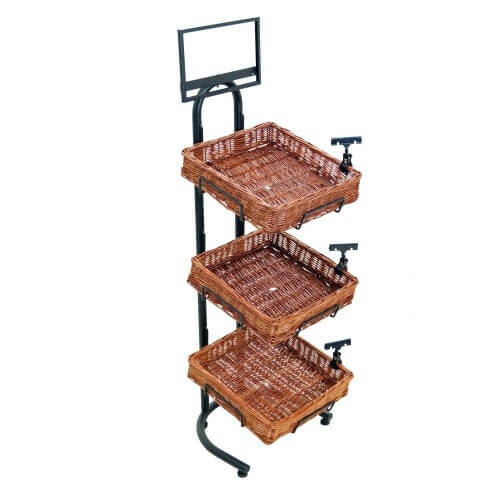 Add some baked bread or pastries to your bakery area. Fill each square shaped basket with a delicious variety of bulk wrapped candies. 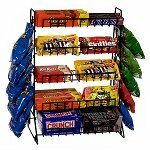 No matter what you decide to add to this display stand, your sales are sure to skyrocket quickly. The clip-on sign holders make it so that advertising is a breeze while the top sign frame helps to inform your patrons about the special of the day when you add your own imaging. 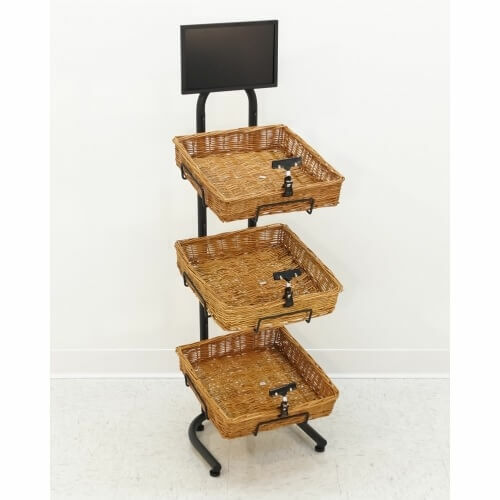 Order this stunning impulse willow basket rack today.